It is that time of year again. Spring is in the air. 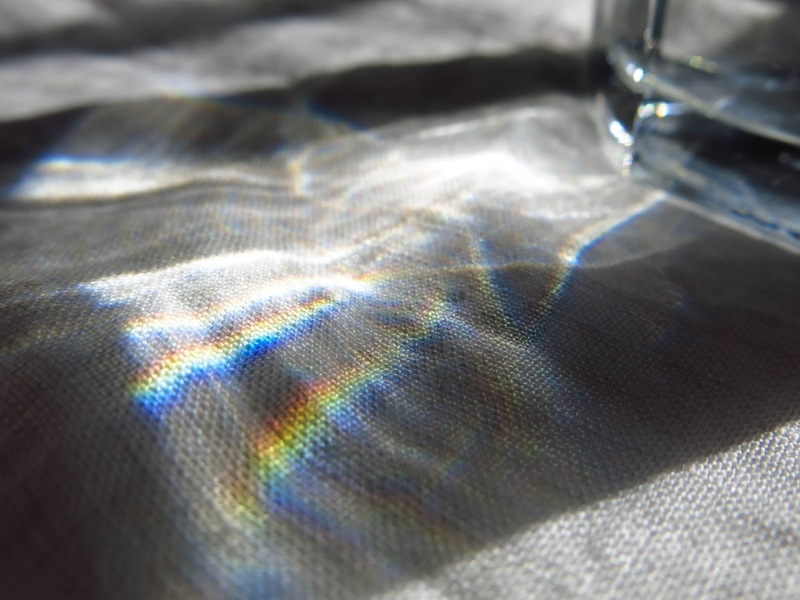 The light has shifted with the clock and that little leap forward brings the morning sun through the kitchen window at just the right time. 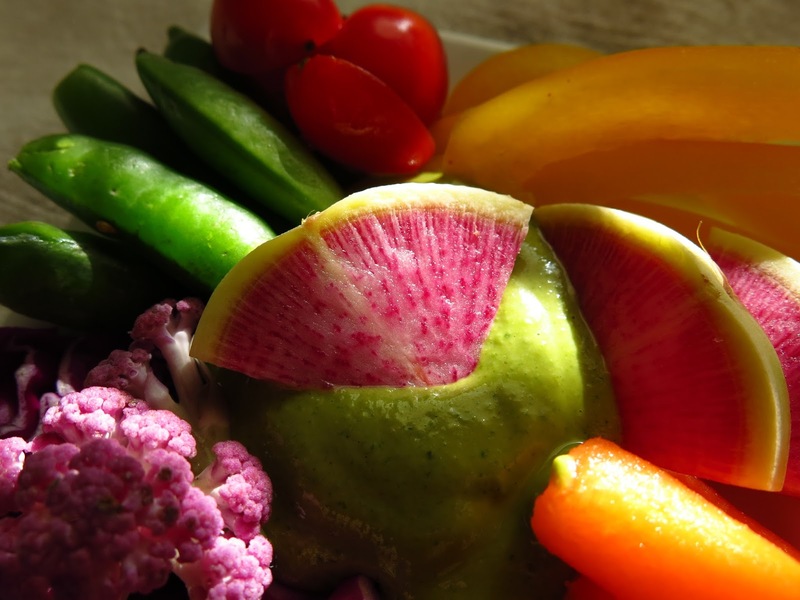 That beam of spring sunshine resting on a bowl of nature’s most beautiful bounty, highlighting those vibrant colors just as you saunter, sleepy-eyed, into the kitchen on a lazy weekend morning…I am suddenly struck with a realization. A deja-vu sort of moment. I have been here before, no? I recall the first time I was so smitten with this spring sensation that I felt compelled to express my silly delight in all things green and bright. That was the day I started my blog, nearly one year ago. As always, I am stunned by the rapid passing of time. However, I do enjoy that moment, that point of transition as you see one cycle to completion and move seamlessly into the next. So here I stand, one year later, admiring that morning sun as it accentuates those vibrant colors. And it seems only fitting to share with you a few more of my favorite greens. A big glass of freshly juiced greens still tops my favorites list. 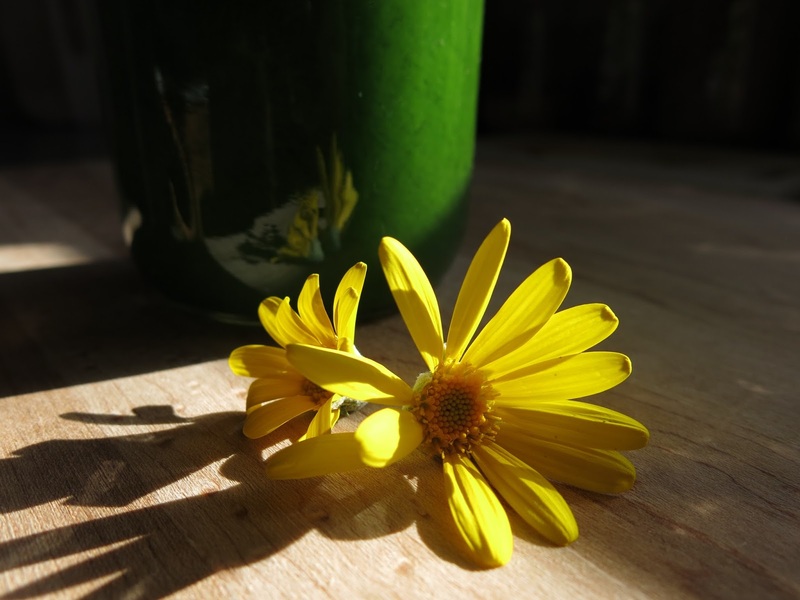 There is just no better way to start the day than with a jar of this healing liquid energy! It is so good for what ails you, be it belly bloat, fatigue or whatever seasonal sicky-ick is going around. 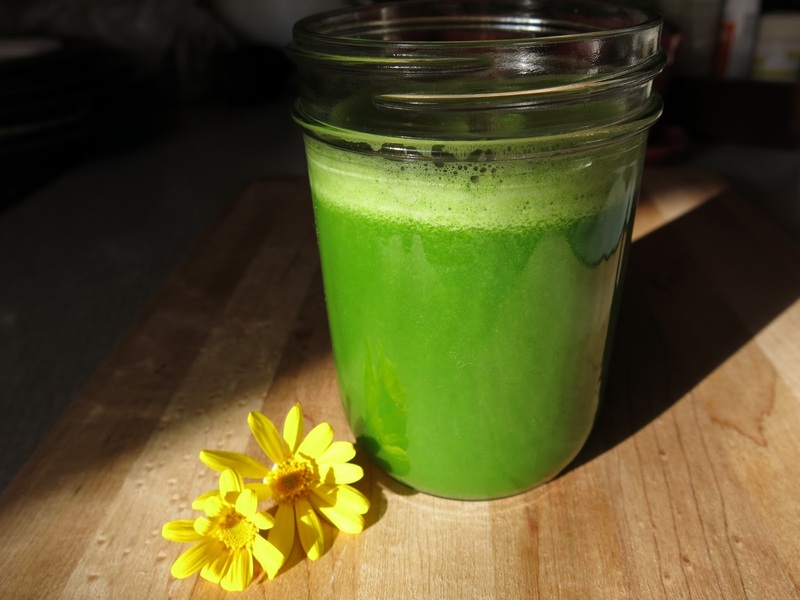 What I love most about green juice is that anything goes. Use what you got, it’s all good. If it’s green and it’s in the fridge, go ahead and throw it in. Of course, I like balance and each green veggie brings its own flavor to your blend. I do try to be mindful of this in my random combinations. I like to balance the heavier, earthier greens, like kale, collards and broccoli with something juicy and mellow, like cucumber or celery. I like a little hint of something sweet, like an apple or a beet, especially if I add a bit of tang and spice with lemon and ginger. 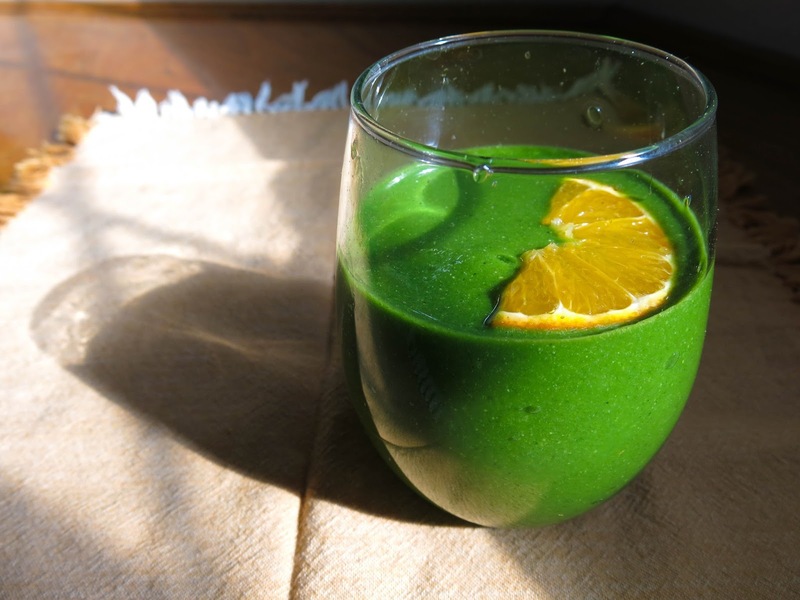 Another favored green that will always remain on my list, is my loyal green smoothie, in some variation or another. There is my go-to classic, of course. But lately I have been playing with different flavors a bit. This, my current green smoothie of choice, is my dreamy orange smoothie with a bit of a berry twist. Lately, I have taken a liking to this superfood greens powder and an added scoop gives my smoothie a superberry boost with antioxidant-rich goji berries and acai. Green smoothies are a convenient and tasty way to get your daily dose of leafy greens, whether at home or on the go. 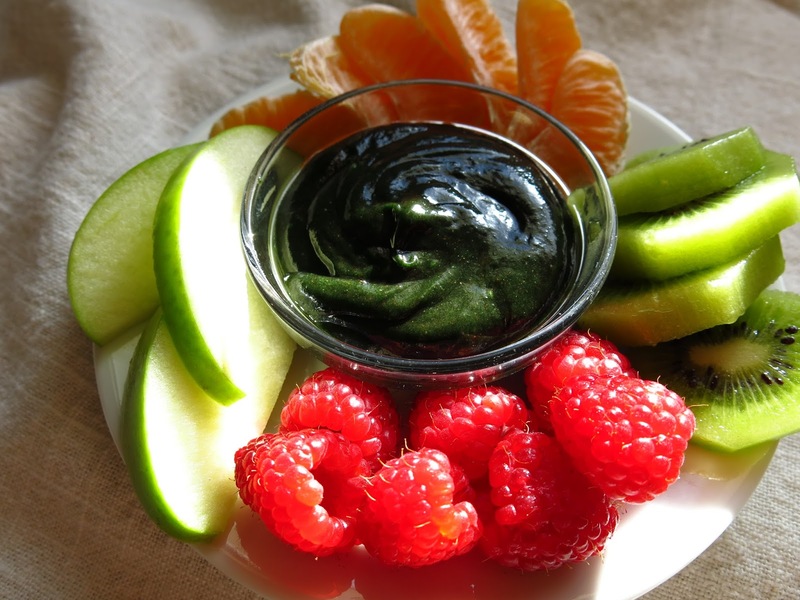 And for something new and fun, I like to whip up a couple of green goops, I mean dips, for my platter of fruits and veggies. 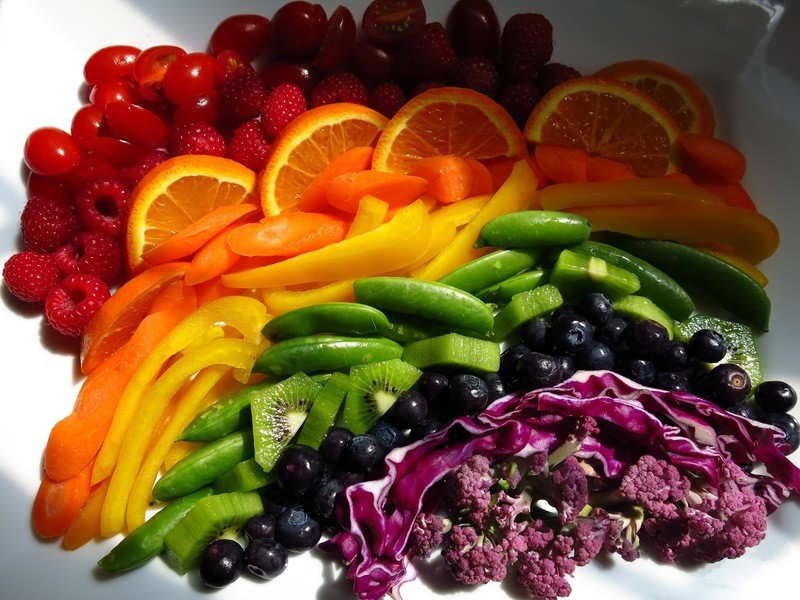 You know what they say about eating the rainbow? 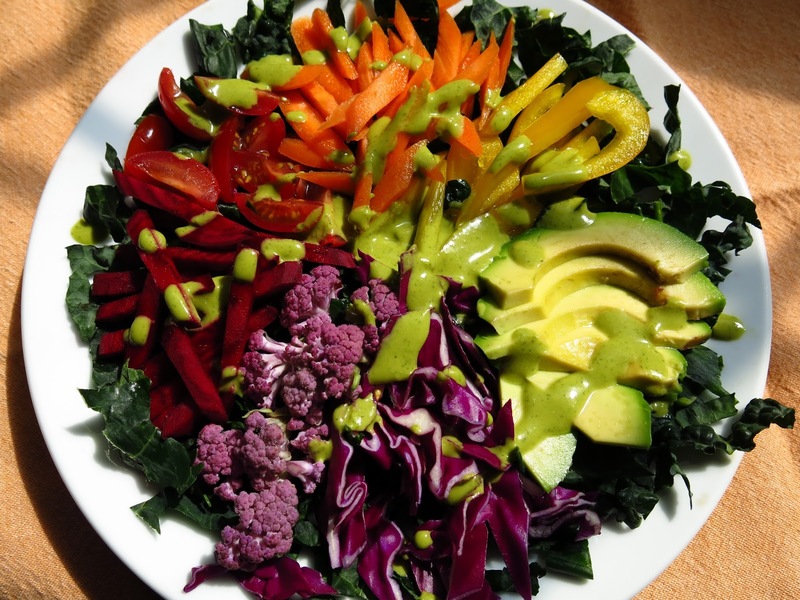 It is important to include fresh fruits and vegetables from all areas of the spectrum as each vibrant color provides specific nutrients to fuel and nourish your body. 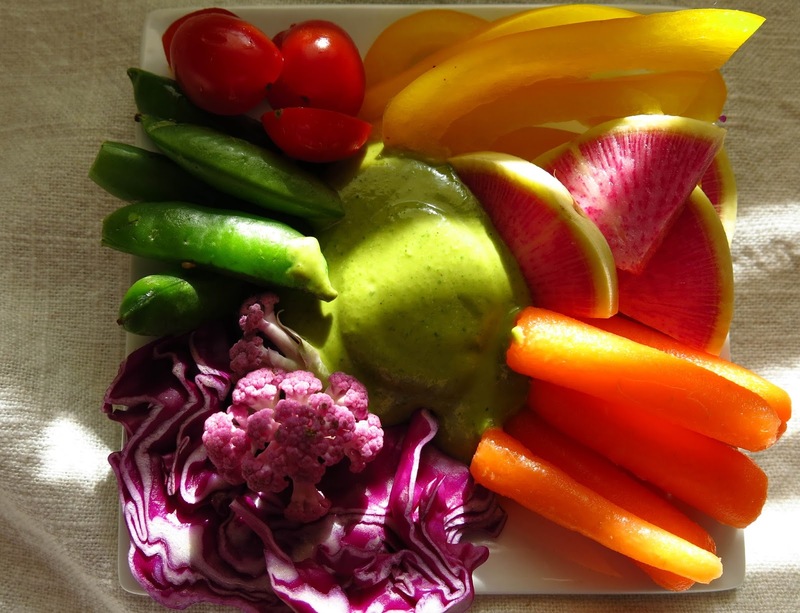 There is something about dunking raw veggies in a bowl of dip that makes eating them so much fun, especially for kids. I have said it before, presentation is everything, especially for those picky eaters. 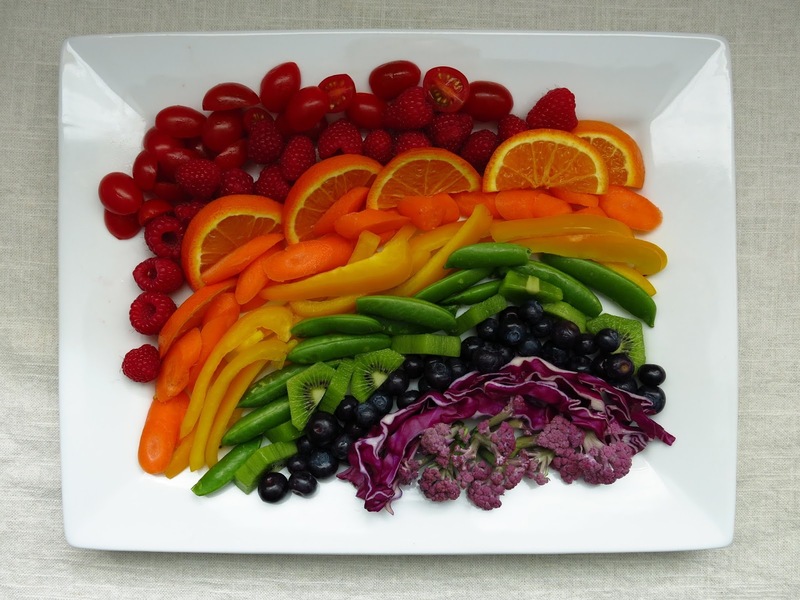 How can finicky fingers, big or small, resist picking and munching from a beautiful rainbow selection of fresh fruits and vegetables like this? Serve some green fruit and vegetable dips on the side (a very fitting strategy for this St. Patrick’s Day, I should say) and you’ll have your kids chasing rainbows in no time. 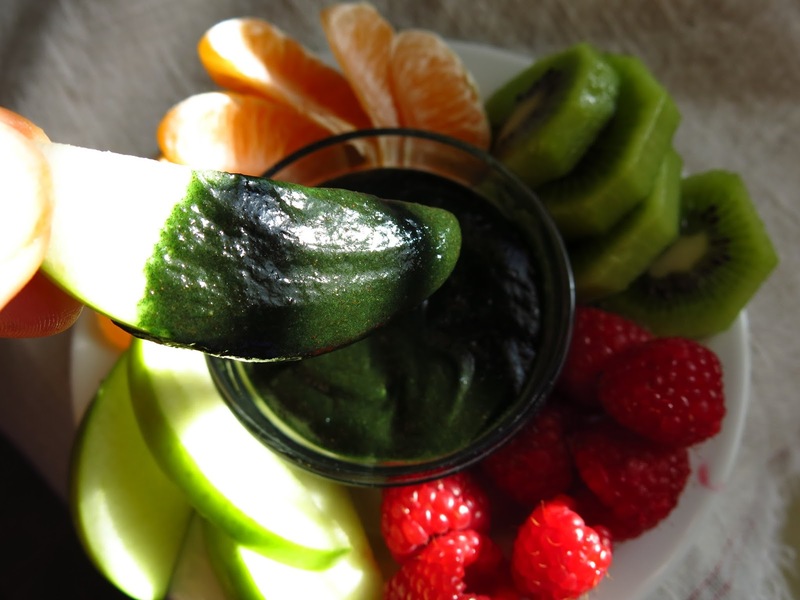 Now, fruit is always fun just as it is, but this sweet green treat makes it all the better with a bonus dose of spirulina for the kiddos and grown-ups alike. Simply mix some of your favorite nut butter (almond butter in my case) with a little honey, a spoonful of spirulina powder, a dash of vanilla and a bit of almond milk to thin it out. This green goodie is even delicious on toast with bananas or apples. I love this Green Goddess dressing for my salad and I often have a jar in the fridge. It makes a great dip, as well. Simply add a little less water to create a consistency that is just right for dunking. 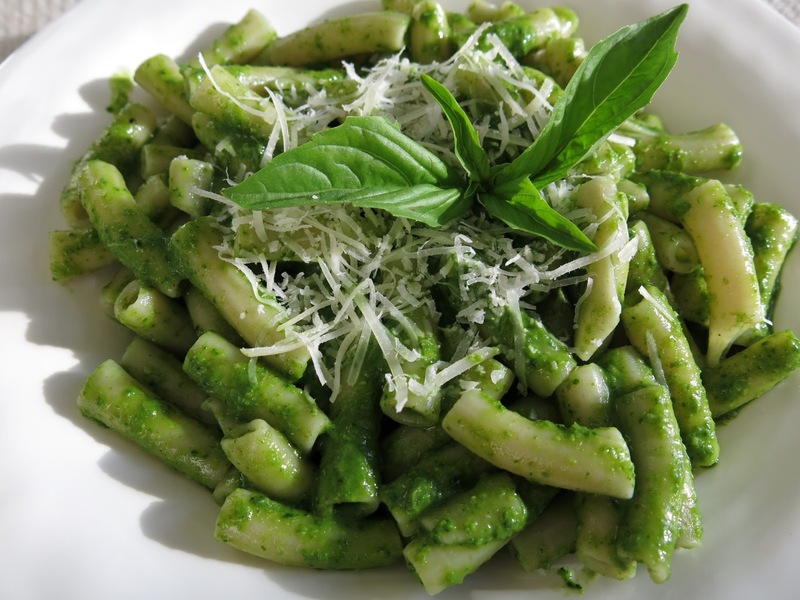 Then, thin it out with a little water and serve atop the rainbow salad you plan to serve with this green ginger coconut pasta for dinner. There is just something about Spring and his childlike charm. All that fresh, new life and color springing forth makes you want to go out and play doesn’t it? Swimming in sunshine, skipping through fields of wildflowers, chasing rainbows…you’re never too old for that. And I’d just like to say thanks for sharing my silly delight in all things green and bright.